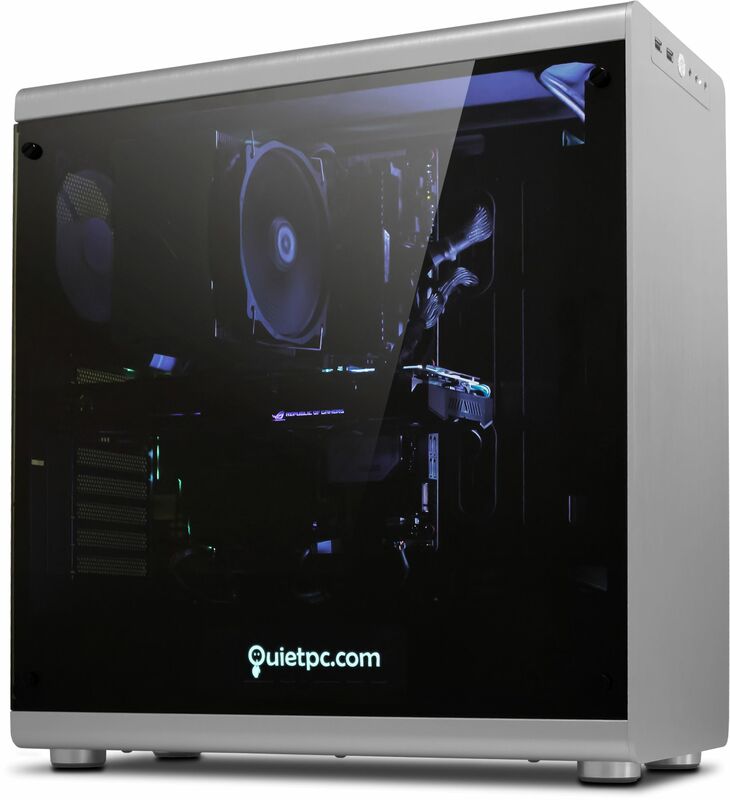 Introducing our ultimate 8th generation quiet gaming PC. This formidable machine doesn't compromise on performance and comes with a two-year fully inclusive warranty. The Serenity Ultimate Gamer 8 has been designed to provide to the best possible experience for any game you care to throw at it. 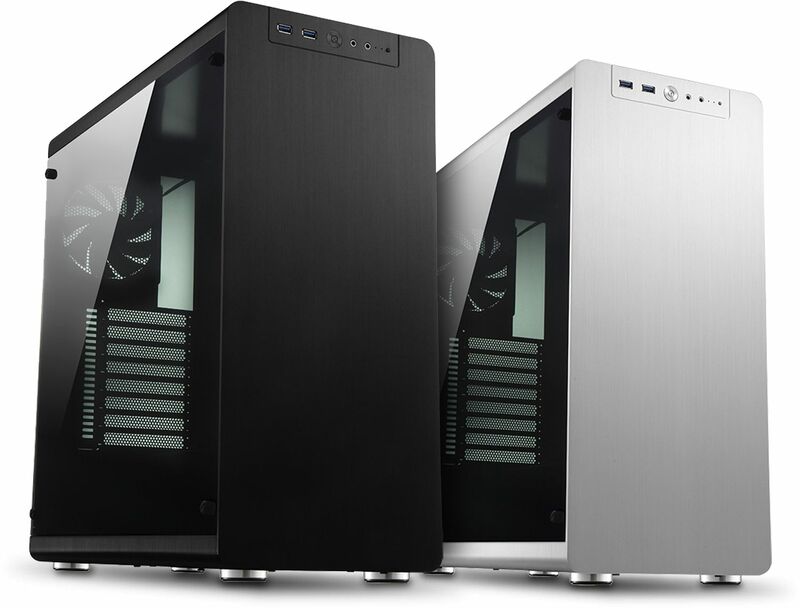 The components are all housed in the gorgeous Jonsbo RM4 aluminium chassis that features a tempered glass side panel, ideal for showing off your prized possession! The ASUS ROG STRIX Z390-F GAMING motherboard compliments the glass side panel as it features ASUS AURA technology allowing for the motherboard to take control of the colour scheme. You'd think there would be a downside to all this extra performance but to be honest we cannot think of any. The CPUs have a maximum Thermal Design Power (TDP) of 91W for the K-suffix and 65W for the others, meaning they can take advantage of the NoFan fanless CPU coolers and be cooled without the need for a fan! Now that is fantastic (pun intended). We've done a lot of development work in this area to bring you the Serenity Ultimate Gamer 8 - a fully built high performance PC which we think offers the best of both worlds - virtually silent running (especially when the PC isn't being used for gaming), and extraordinary gaming performance with great cooling design which gives total safety and reliability for your precious CPU and GPU. Jonsbo RM4 Zone Black Window ATX Aluminium Case ? Jonsbo RM4 Zone Silver Window ATX Aluminium Case ? Nanoxia 30cm Rigid RGB LED Lighting Strip ? If you choose a second graphics card we will set them up in SLI. Please make sure both cards are the same make and model and at least an 800W or above PSU is selected. Also only one PCI-E expansion card be used if two cards are selected. Micronics Astro GD White 750W Modular PSU, 80+ Gold ?